> Click here to embed this graphic on your website. 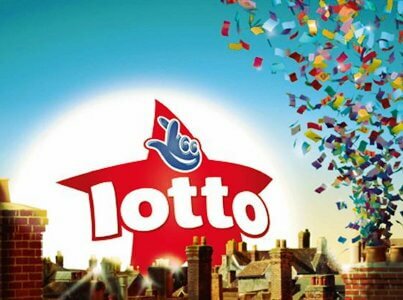 So we have a new UK Lotto Raffle game, which will be paying out £20,000 prizes to 50 winners each draw (Wednesday and Saturday). The number of Raffle prizes will also increase for rollover draws. The prize structure has also been tweaked to favour larger jackpots. It’s not a major overhaul but according to The National Lottery we will see jackpots tending towards £5M on a Saturday (rather than £3.9M), and £2.5M on a Wednesday (instead of £2.1). All will depend on ticket sales of course. There is also an increase to the Match 3 prize, which is now £25 instead of the old prize of £10. And Match 4 will now pay around £100 instead of £60. On the downside the Match 5 prizes will decrease, with a Match 5 + Bonus dropping to £50,000 where you would previously have won £100,000. And a Match 5 prize reducing from £1,500 to £1,000. The most controversial is of course the increase in the ticket price, which is doubling from £1 to £2. Now nobody likes a price increase, and of course Camelot is being accused of profiteering. But in their own defense they say these changes are to reinvigorate the game where they say sales have been slowly declining over the last couple of years. How palatable you personally find the price increase will probably depend on what kind of player you are. Occasional players are unlikely to be particularly bothered and will carry on as usual. Most regular players may well be swayed by the extra prizes offered by the Raffle – while players in UK Lotto syndicates will likely appreciate the bigger jackpot. How players handle the change will vary. Those on a fixed budget will simply halve the number of lines they buy, or switch to playing in syndicate groups to reduce the cost. While those who strongly object to the increase may stop playing altogether or be tempted to switch games. The Health Lottery in particular are looking to pick up these players as they will continue to offer a £1 per ticket game – at least for now anyway. The national online syndicates will be doing their best to avoid price rises, and will mostly reconfigure their offerings and group sizes to absorb the cost. The National Lottery will of course expect to lose some players, and to lose some volume from others. But they will also expect to keep a majority buying at a similar level to before. Whatever you think of the changes, it would likely be a mistake to pass up the two big Saturday draws set up to launch the new game. Not only do both these draws come with a hefty guaranteed jackpot of £10M, but they will also be paying out – not the regular 50 – but 1,000 Raffle prizes for each draw. That’s something not to be missed. We surveyed a selection of UK based Lottery Syndicate World readers about the changes. The responses were interesting, and thanks again to those who took part. On the whole players are fairly torn about the changes – the new Raffle gets a thumbs up, but only just with 57% saying they like it. The new prize structure gets an overall thumbs down from 58% of you. But it’s hard to see these changes in isolation because of course they do come with that increase in the ticket cost. Which 76% of you objected to. It is interesting however to see 24% of people are happy with the ticket price now they understand the other changes that go with this increase. Some of you will miss the Lotto Plus 5, but the majority weren’t really bothered about it being withdrawn. Let us know what you think about the changes, or the survey results in the comments below. Will you continue to play? Or at least take advantage of those two big launch draws? I’m not really happy about the changes – but I didn’ t know about the special launch draws. I’ll definitely play in those as the jackpot is good and there are soooo many raffle prizes. But after that I’ll have to think hard about how tickets I’ll buy in the future. Fair enough. But don’t miss those 2 draws at least because they are definitely worth playing. After that, you can always check out the UK syndicates here to lower the cost of playing. I don’t get what everyones complaining about. Yes it costs more but you’re getting two games for your money AND bigger jackpots. AND it’s still far easier to win than the Euro Millions is!